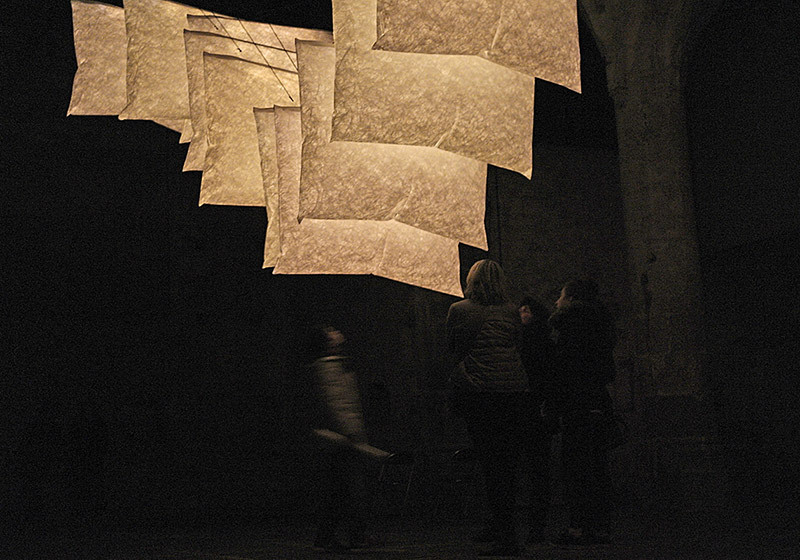 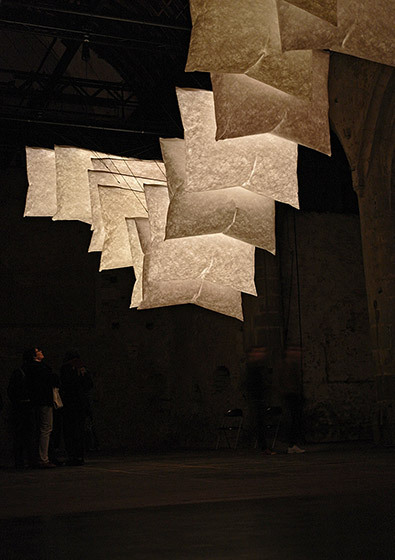 A site specific adaption of the installation Seventeen at the Maintenant Festival in the Théâtre du Vieux Saint Etienne in Rennes (France). 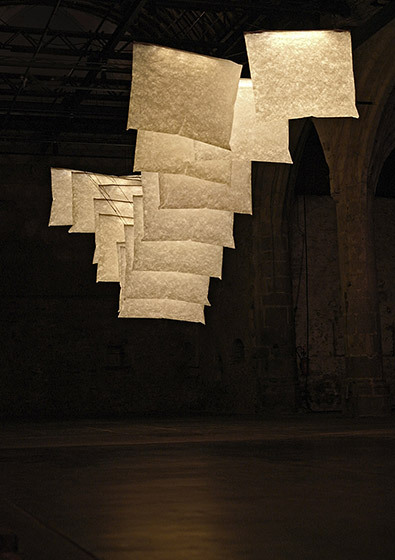 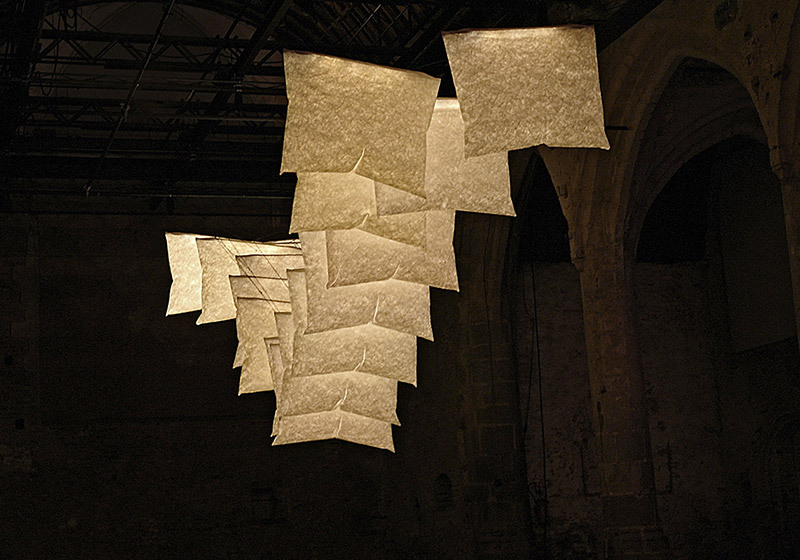 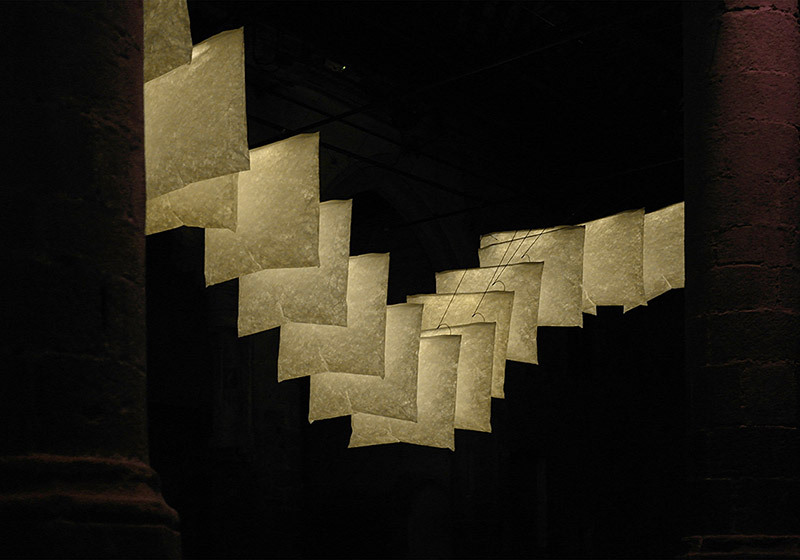 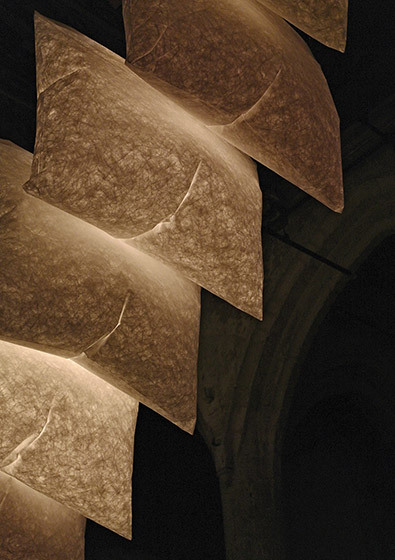 The installation consists out of seventeen white cushions made from Tyvek hanging above the visitors heads in the old church. 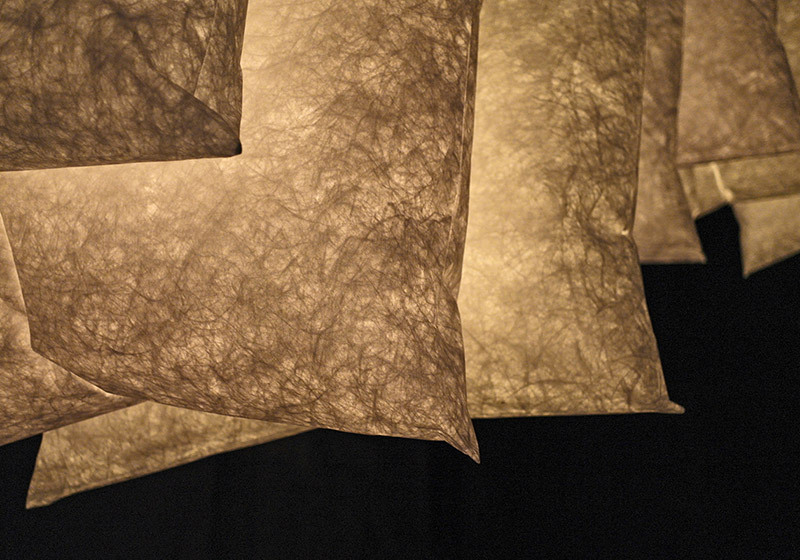 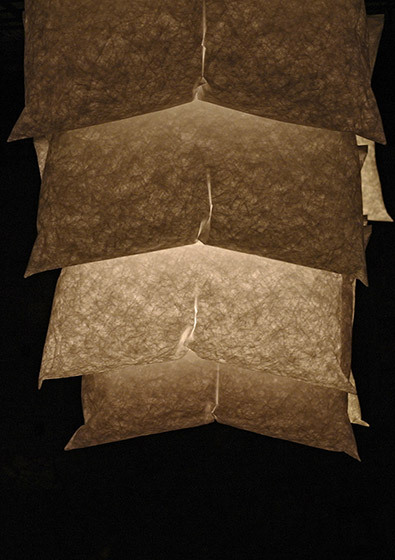 Each cushion is selectively inflated and deflated in controlled rhythms by small fans. 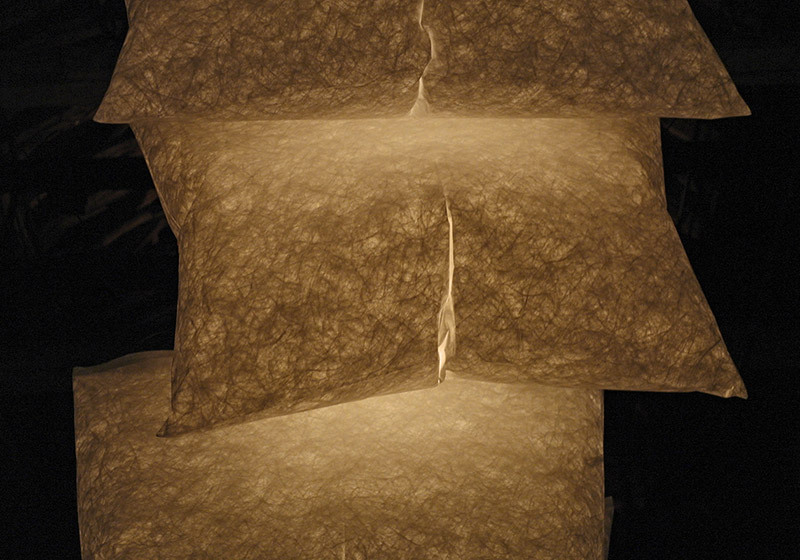 Combined with the selective illumination of the cushions this leads to wavelike movements along the space.